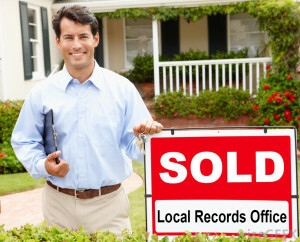 LOCAL RECORDS OFFICE — When it comes to selling your home, there are a number of factors that go into its value. For most people, they tend to look at the home itself and what they can do to boost its overall selling price. However, there is other information that you will need to know before your home goes on the market. Local Records Office (LRO) is a company dedicated to providing valuable information about the your neighborhood in terms of the public information that is available in terms of its location, demographics, criminal activity, quality of schools and more. This is an excellent question as many people who are considering selling their properties only look at the condition of the home itself and do not consider the other factors that play a strong role in its value. How your property is priced will depend on factors that start with the home, but will include information about the location of the property itself. It’s not just what the property itself offers, but whether the neighborhood is a desirable one for the potential buyer to move. While property is a considerable investment, the overall value will depend in large part on the demand. For example, a home that is located in a crime-riddled area will not be as desirable to potential buyers as properties located in places where crime is not much of a factor. To have this kind of knowledge for the buyer is invaluable in determining whether to move into a particular neighborhood. However, it is also quite valuable to the seller as they will have a better understanding of their surroundings and what affects the overall value of the property. Why You Should Choose Local Records Office ? If you are considering selling your home soon or in the near future, you will need to know more about how you can properly prepare your home in terms of repairs, improvements, and what direction you need to sell in terms of the most likely buyers, you could see the video here. Accuracy: The information that is gathered by Local Records Office represents the latest data on your community. This is vitally important because outdated information can skew the perception of how you should price your home and the type of buyers that you should target. Considering that buyers will most likely get the current information, having access to it from Local Records Office means that you will know all the strengths and weaknesses of your community when selling your home. Pertinence: What do people look for when moving into a new neighborhood? While the size and features of the home are certainly important, they also look at the neighborhood or community itself when making that decision. Families with young children for example are more likely to move into a neighborhood that features good schools and neighbors with similar demographics in terms of age and children. However, if your home is in a neighborhood with older people and generally poor schools, you can use this to better target your efforts towards buyers who have no children. Prevention: There are sellers who make substantial changes to their home based on the belief that it will boost its value. For example, putting in a swimming pool, large deck, or even adding a room. However, many of these changes often do not have the desired impact. This is because buyers will view a home based on the surrounding neighborhood and will want it to generally fit in. Adding something that goes against what the rest of the neighborhood offers may even subtract value from your property. For example, adding a swimming pool may appeal to families with kids and less so to older people. If your neighborhood is mostly older people you are actually making it harder to sell your home. Action: For the most part the information provided in the reports by the Local Records Office may seem to be out of your ability to control such as the crime rate, quality of schools, or the overall demographics. However, if you are not selling your home soon you can take some action, which might have an overall effect such as a neighborhood watch committee, improved PTA for the schools, and so forth. By understanding what may be problematic in your neighborhood, you can at least start to take the appropriate action. Another excellent advantage of Local Records Office is that they provide their information that is designed to be read and understood by the general public. You do not need a statistician to figure out all the data that is reported by Local Records Office about your community. Complete: Over the years, the information that is needed to help determine the overall value of a home as derived from community statistics has been honed to an exact science. In this manner, you’ll get all the pertinent information that applies to your property and will help you determine its overall value. Efficient: While the information that the office provides is in the public domain, an individual trying to gather such information will take a considerable amount of time. Local Records Office however can compile the results in far less time and present it to you in a comprehensive manner that is easy to understand. You’ll get the history of your property along with the demographics, criminal and foreclosure activity, quality of schools and other important information to help you make the best-informed decision about how to market and sell your home. That is why more people are choosing Local Records Office as their place to get the right information.